Well, you have already figured out that those are not Lego minifigures (and they’re a bit bigger, so I’m not even sure they qualify as “minifigures” maybe just “small figures”) but I wonder what they are. I found them at Book-Off (a popular second-hand store in Japan) for 100 and 200 yens each (the 200 yens one were actually new, in a sealed transparent bag – oh and 100 yens is more or less $1 or €1). I think I’ve seen those toys before but I really can’t tell where. 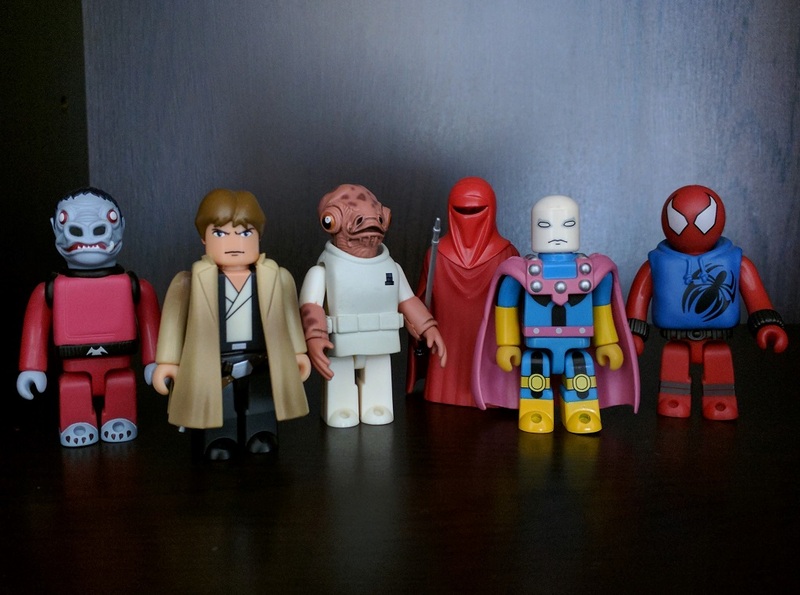 Also, interesting that on top of famous characters like Han Solo, we have Snaggletooth or Morph. Actually, first I just wanted to get Morph (I really like this character and was surprised that he was made into a toy at all) and then I decided to get them all, being so cheap and all. If anyone can tell me what they are, I’m interested (I think I’ll ask Reddit too).